I’ve got the munchies and I need a snack! I would love a chocolate chip cookie (or two) right about now and even my husband has been nudging me to make a batch. I’ll make cookies some other time and share them with you then, but for now the healthy snack wins. For now, what I need is something I can nosh on that won’t blow my calorie intake. Oh and of course it HAS to be delicious too. 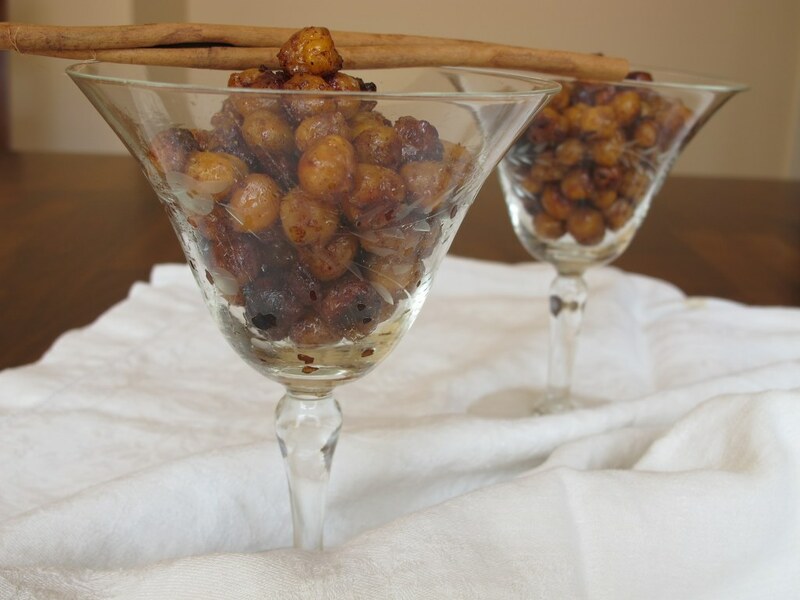 I cook with chickpeas for dinner a lot but I never thought to roast them. These golden brown nuggets are a satisfying and healthy snack! Drain the chickpeas and rinse them under cold water. Place the chickpeas on a towel to dry. In a small bowl, whisk together the oil, cinnamon, and sugar. 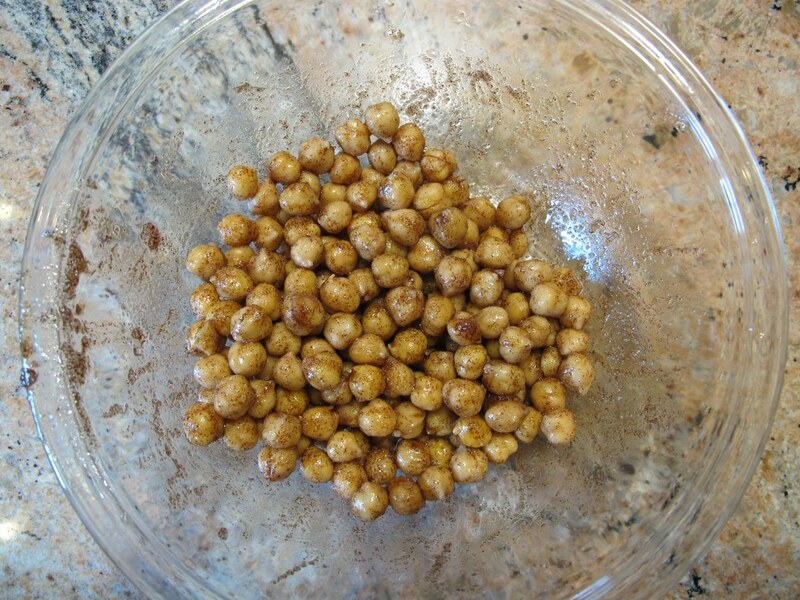 Place the chickpeas in bowl and stir until all of the chickpeas are evenly coated. 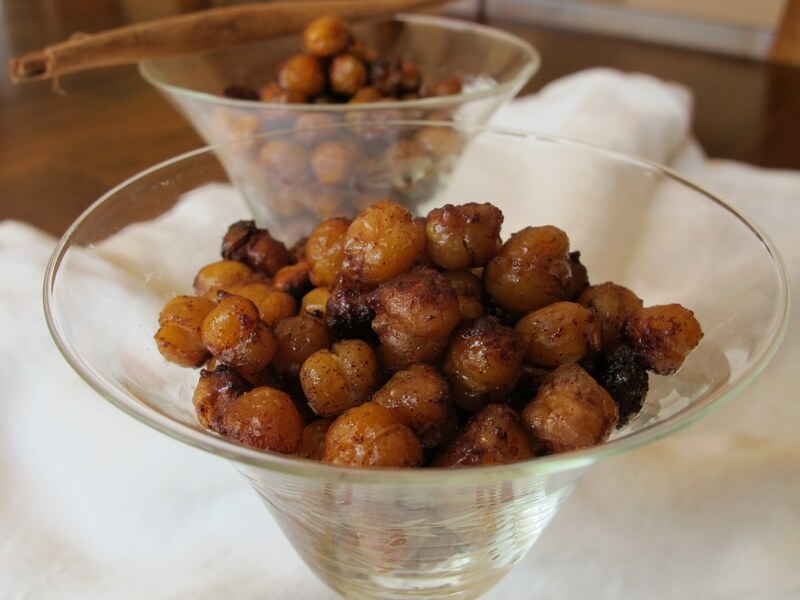 Spread out the chickpeas on a large baking sheet and bake for 35-40 minutes, or until the chickpeas are golden brown. 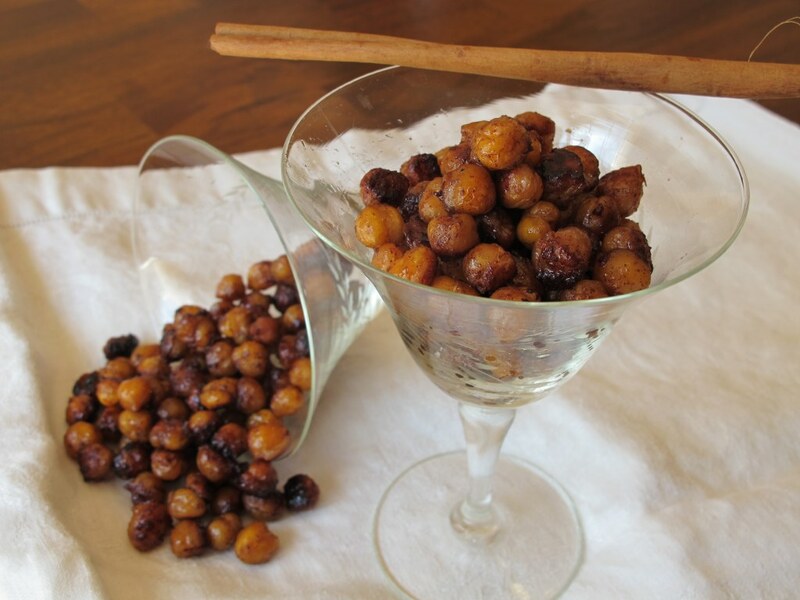 Place the hot, roasted chickpeas in a small bowl and coat evenly with honey. Spread the chickpeas back out on a baking sheet and allow to dry. I don’t think it’s necessary to remove the skins but it makes for a prettier looking snack. So when you lay the chickpeas on a towel to dry, gently rub them around and the skins will easily come off. Mix all the ingredients and bake. I love how simple this recipe is. I laid aluminum foil on the baking sheet to make cleaning up afterwards easy. My chickpeas baked for 35 minutes. After I coated them with honey, I let them cool for about 30 minutes before serving. They’re not too sweet or sticky, almost a bit savory. They are firm on the outside and have a slightly crunchy texture. I think these would be great served during a cocktail hour at a party! These are one of my favorite healthier snacks in the entire world. 🙂 I love making them for road trips! I always gravitate to making cookies but my waistline thanks me for a tasty and healthy snack every now and then. Thanks for stopping by, Sally!